In 2018, TTCI supported several projects serving the North American supplier base. Test programs included product development and evaluation to certification per AAR M-976. Our customers put to use both the track and laboratory facilities at TTC. The Railroad Test Track (RTT), the Wheel/Rail Mechanism (WRM), and the Precision Test Track (PTT) — all of which have the required engineered deviations that comply with the certifications per the AAR — were used extensively. Locomotive suppliers also benefitted from the support in the implementation of “burn-in” and high-speed operations. Our Simuloader (SMU) was kept busy in the Rail Dynamics Laboratory (RDL) to evaluate the fatigue life of existing and new design railcars. In March and November 2018, TTCI supported GE Transportation in two rounds of testing of GE’s Trip Optimizer controlling freight equipment from “Zero to Zero.” The FAST facility in Pueblo allowed the GE team to conduct tests on real trains, with significant trailing tonnage and topography. The first tests were run using the FAST cars to test control of a heavy loaded unit train. The second round of tests consisted of a variety of freight train consist make ups (both heavy and light trains). Both developmental rounds were followed by a demonstration to the Class 1 customers. Additionally, as part of the November effort, GE tested their Road RCL (remote control locomotive) product controlling a heavy freight train using standard road locomotives. 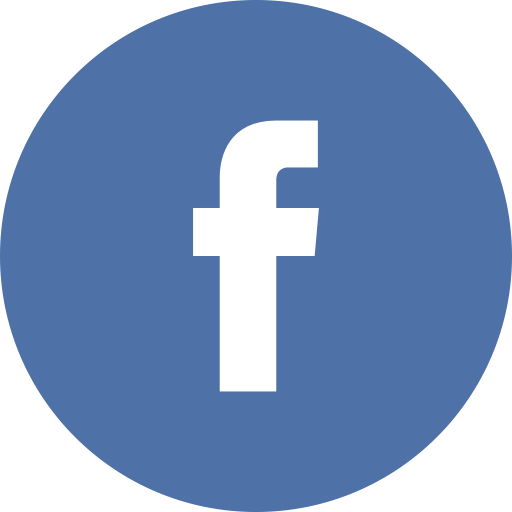 “GE’s tests were very successful, and the support provided by the team at TTC was top-notch, said William Schoonmaker, Product Manager, GE. TTCI has long been a strategic partner for TTX to conduct on-track dynamic testing of railcars and railcar components. In 2018, TTX worked with TTCI to simulate 70 plus years of service life on bulkhead flatcars, which were originally intended for 40 years of useful life. Loads from service were collected and input into the carbody on TTCI’s Simuloader, and used to determine if the car structure was suitable for extended service. This invaluable tool provided TTX with the ability to develop the necessary procedures to extend the service life of equipment. Once the procedures are fully approved by all necessary parties, the extended railcar life will allow TTX to serve its owners with reliable equipment while avoiding some capital costs of new car acquisitions. Amsted Rail Company, Inc., a leading provider of railcar undercarriage equipment to the global heavy haul railway industry, has been using the facilities and services offered by TTCI for decades to advance the state of the art in truck system designs. 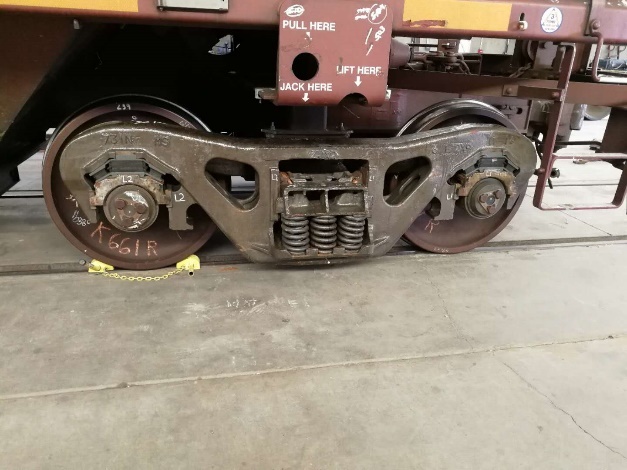 Amsted Rail has partnered with TTCI to test and evaluate distinct suspension elements, damping components and new materials in an effort to improve performance under railcars, which can offer extended wheel and rail life, reduced rolling contact fatigue damage and decreased component wear. Most recently, Amsted Rail has been working with TTCI to test multiple truck configurations — some with the subtlest of differences — to meet the exacting standards outlined in AAR Specification M-976, learning from both successes and failures and applying that knowledge to further develop promising solutions. Industry demand for simple, cost-effective, high-performance truck system solutions with long life and minimal maintenance poses a delicate balance and thus an enormous challenge. In its work at the facilities and with the people of TTCI, Amsted Rail finalized the development of and certified its TrakMaster™ M-976 truck system on the recently reworked and updated track and roadbed. This was a significant milestone, yielding improved performance over the best in the Industry, particularly in curving resistance and pitch and bounce test regimes. All of this means that today’s railroads can continue advance operations through longer trains, heavier axle loads and higher speeds to further enhance efficiency and delivery performance. TTCI is pleased to work with customers like Amsted Rail to ensure the long term viability of heavy haul railway systems. In October 2018, Amsted Rail Company, Inc. Senior Leadership team members gathered at TTC in Pueblo at the invitation of TTCI President Lisa Stabler. The team was made up of 16 Amsted Rail executives from a cross-section of functional areas, including Operations, Finance, Human Resources, Marketing and Engineering. Amsted Rail presented an overview of its manufacturing locations and railcar undercarriage product portfolio, which encompasses complete truck and coupling systems, braking systems, wheelsets, draft gears, end of car cushioning devices and associated components. Amsted executives also learned about TTCI’s history, facilities and capabilities. The overview also provided information about the AAR Strategic Research Initiatives program mission and vision, with a focus on mechanical systems research and cross-cutting initiatives of particular interest to Amsted Rail. The group then toured TTC laboratory facilities, including a visit to the Train Dynamics Track that is designed to simulate the revenue service environment. The visit concluded with a group dinner, allowing new friends to exchange experiences and ideas. This was an excellent opportunity for everyone to meet and get a better understanding of each party’s capabilities, an eye-opening event that further strengthened the partnership for the future. TTCI has been working with Amtrak on several projects relating to the implementation of the federally-mandated Positive Train Control (PTC) technology. 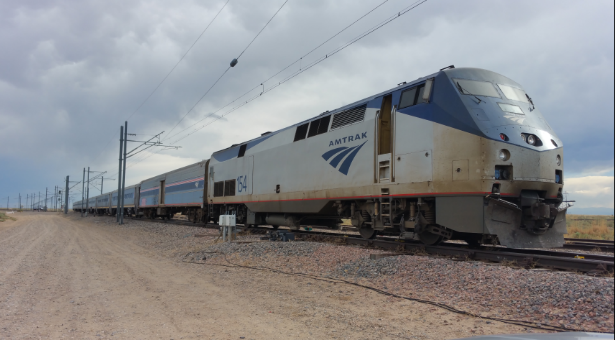 Leveraging a full-scale PTC test bed and specialized computer modeling capabilities, TTCI assisted Amtrak with simulations and field testing needed to expand their PTC deployment to include more locomotives and consists. Field testing included locomotive class testing of the SC44 Charger, EMD F59, and EMD F59PHI locomotives, as well as PTC braking enforcement tests using Talgo, Comet, and NCDOT passenger equipment. Data from these tests supplemented computer modeling to demonstrate that the PTC braking enforcement algorithm meets industry safety and operational efficiency targets. Passenger cars manufactured by Kawasaki Railcar were assembled and tested at TTC from November to May 2018. 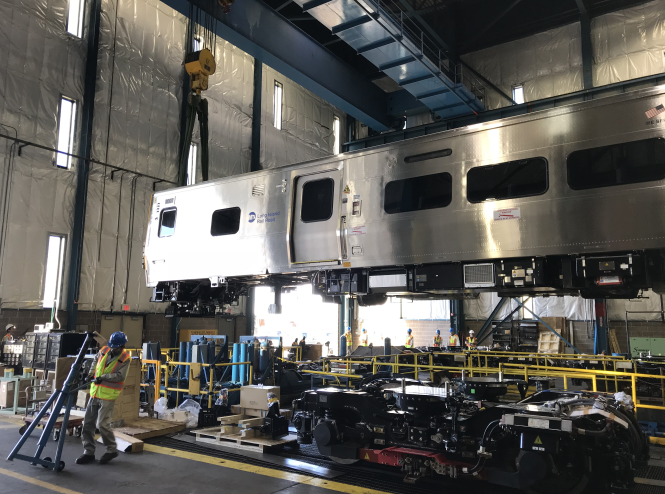 Eight cars, destined for the Long Island Railroad, were tested to confirm that all specification requirements were met prior to delivery. Highlights of the tests included propulsion, braking, noise, vibration and adhesion. More than 150 visitors including railroads, consultants and suppliers worked together during the test program at TTC. TTCI continues to improve its analytical capabilities to assist customers worldwide on consultancy work. Our highly developed combination of experienced research engineers, testing capabilities, and analysis tools provides a powerful team for problem solving for both the freight and passenger industry. 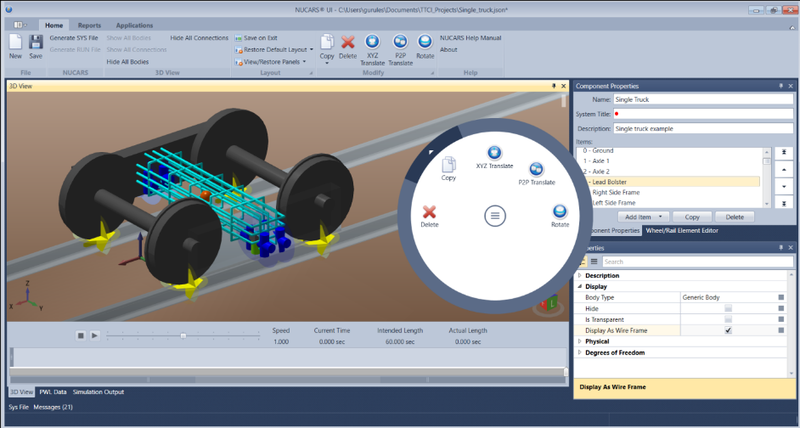 Recent additions to Wheel-Rail Contact Inspection Software (WRCIS™) allows for more efficient solutions of wheel and rail profile design; leading to service life increases for both components and reductions in wheel-rail contact-related issues, such as rail roll-over in curves and rolling contact fatigue (RCF) on both wheels and rail. Continuous improvement of the user interfaces on NUCARS®, TOES™, and STARCO™ software packages have improved the efficiency of these modeling tools for TTCI and its customers for solving problems. Added capabilities in vehicle-track dynamic simulation modeling in NUCARS® have allowed for more realistic representations of track, resulting in more detailed representations and calculation of wheel-rail contact and corresponding rail vehicle dynamic response. 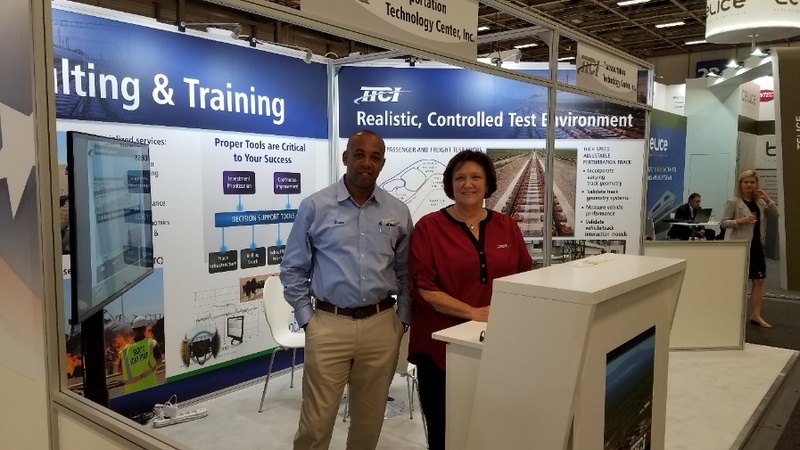 In 2018, TTCI supported several of our domestic and international customers by providing analytical expertise in understanding derailments and assessing the performance of vehicles before the conduct of full-scale track tests. NUCARS® is a registered trademark of Transportation Technology Center, Inc.
TTCI continued to support the commissioning of the Siemens Charger diesel locomotive. Moving into the fourth year of operations, 39 locomotives have been successfully commissioned to date. Tests included endurance, braking, acceleration test and field modifications. Final destinations for these locomotives include Illinois, Florida and Washington. Standard Car Truck (SCT), a division of Wabtec Co., has been developing and supplying Barber freight railcar trucks since 1896, and has utilized TTC’s facilities since its inception. In 2018, SCT continues to partner with TTCI o to further its research and development through on-track testing per current and proposed AAR performance standards. Since 2003, TTCI has been an exhibitor at InnoTrans, the world’s largest equipment trade show. In 2018, we proudly participated as a supplier of rail expertise in the USA Pavilion along with other U.S. suppliers. The biennial event touted 41 exhibition halls, 3,000 exhibitors, and 160,000 attendees. The TTCI team was able to talk one-on-one with a wide variety of clients, offering our expertise in a range of areas. From training first responders and mitigating hazardous events to inspecting track/infrastructure using drones, the TTCI booth enjoyed steady interaction with attendees.We also highlighted the utility of our software tools in vehicle and train dynamics which, along with structural and crash energy management, can enhance TTCI's unrivaled testing capabilities. We also had the opportunity to visit client booths and engage in potential new business as well as bring back valuable information on new technologies that could help our North American industry. 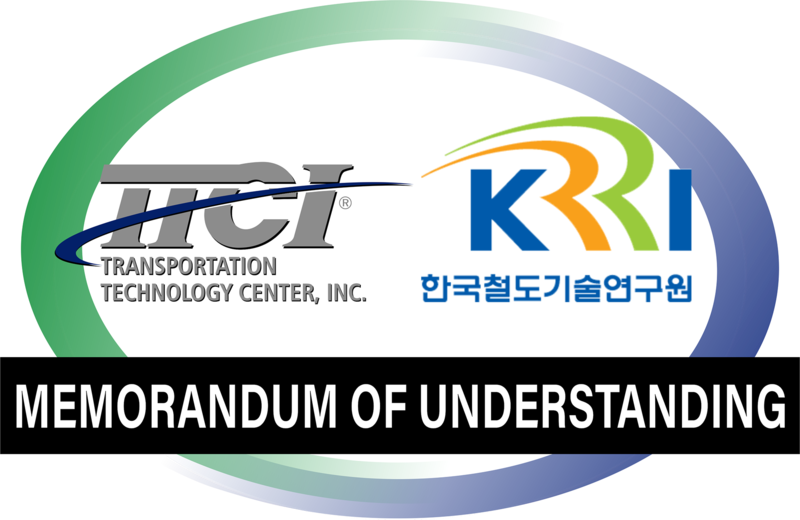 TTCI and South Korea’s KRRI (Korea Railroad Research Institute) signed a Memorandum of Understanding (MOU) on May 3, 2018 to strengthen our relationship and promote cooperation in the research field of railroad technology based on common interest while recognizing the mutual benefits to be derived from such cooperation by both parties. Both organizations may engage in exploration through exchange of information on relevant test and certification facilities at KRRI and TTCI. The MOU could lead to implementation of joint projects and technical cooperation in subjects of mutual interests, exchange of researchers, technical personnel and other experts to the extent practical, and collaboration on mutual training program, seminars and symposia. TTCI looks forward to working in partnership with KRRI. After extensive development of high-speed passenger rail in recent years, China is paying more attention to heavy haul freight rail. 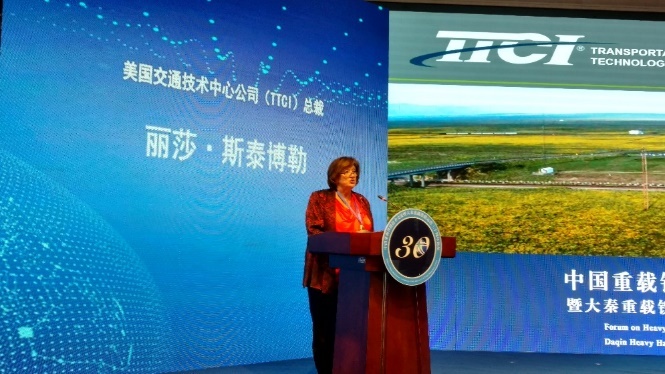 TTCI is well-regarded in that country as an international rail technology organization and has had frequent interaction with Chinese rail organizations and customers. In October 2018, the China Railway Society (CRS) organized a special event to promote the newly formed China Heavy Haul Association heavy haul rail committee and to celebrate the 40th anniversary of operation for the Daqin line. This line transports about 400-million tonnes of coal annually from Datong in Shanxi Province to the port of Qinhuangdao. TTCI president and IHHA board member Lisa Stabler, together with the current IHHA board chairman Brian Monakali of South Africa, attended the event and made key note presentations. In recent years, more and more international freight railcar or component suppliers are coming to the North American market, and TTCI has been testing products from new suppliers such as the ZJX-2 type radial truck from CRRC Meishan in China. After a number of interactions of testing and design improvement, the truck design is about to be finalized and CRRC Meishan may request a formal AAR M-976 certification test in 2019.